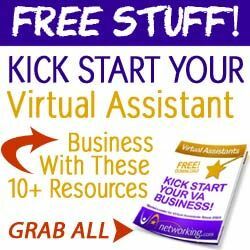 As a Virtual Assistant, it’s so easy to lose focus on your health and to put all of your energy into your business. Unfortunately, when that happens your business often suffers. A healthy mind and body are actually much better for productivity, inspiration, and motivation than expending all of your energy on your business. 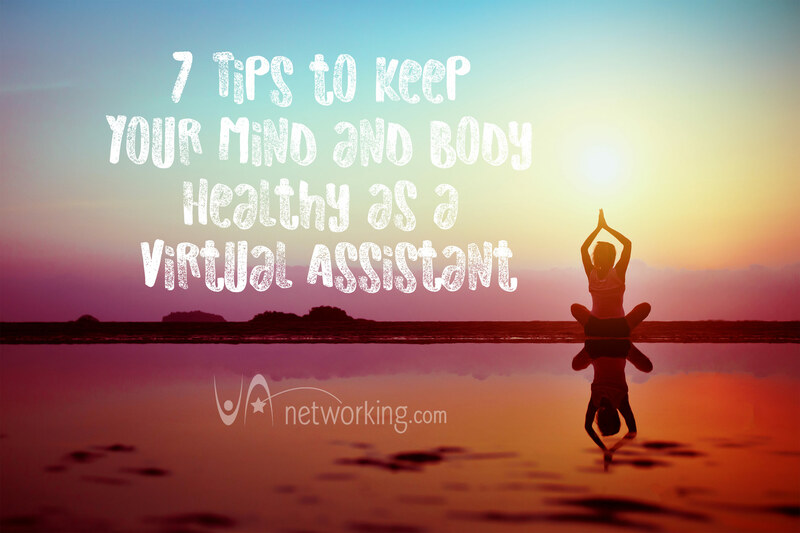 Here are seven tips to keep your mind and body healthy. #1 – Laugh. Laughter really is the best medicine. Make it a priority to spend time with friends and family who make you laugh, and take time off just to do the things you enjoy doing. Celebrate your successes and achievements, and even your near misses. Celebrate being alive. Celebrate all that you have to celebrate. Give yourself a pat on the back, do a happy dance, say a huge thank you to the universe or any spiritual being you believe in. #3 – Get some fresh air and sunshine. In addition to simply renewing your spirit, sunshine is scientifically proven to affect your hormones in a positive manner. In fact, your body needs a bit of vitamin D produced by sunshine to operate optimally. If you can’t position your office and desk to enjoy some natural sunlight throughout the day, make sure you get outside for twenty or so minutes a day. #4 – Calm the mind. #5 – Schedule time to play. Scheduling fun sounds well, unfun, but if you don’t schedule it, you may not do it. Make time for days off to play, schedule vacations even if they’re staycations and just enjoy the benefits of owning your own business – making your own hours! Exercise is good for both your mind and your body. Find an activity or two that you enjoy doing: swimming, running, climbing, tennis, riding your bike – you name it. And make time to do it a few days a week. 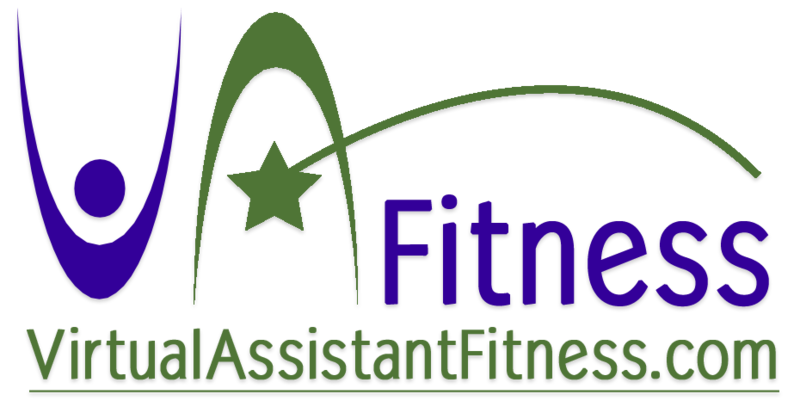 Even walking for thirty minutes outside at a brisk pace is an excellent way to get and stay in shape. #7 – Make sure your home office is as ergonomic as possible. That includes a good chair to support your back, a desk that’s at an appropriate level to support your wrists and a computer screen that doesn’t hurt your eyes. Good lighting also makes a huge difference. 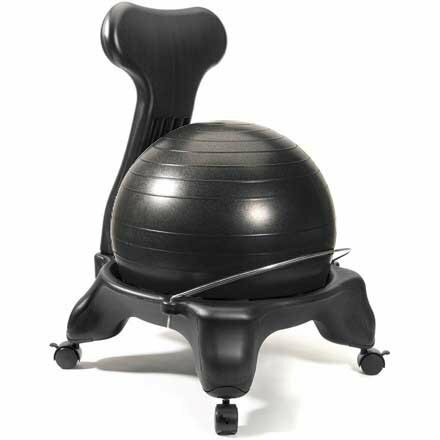 TIP: I recently bought this yoga ball chair for my office to help improve my posture and absolutely love it! Of course you have your business goals and priorities. However, in order to continue to be able to reach those goals, it’s important to make your own mental and physical health a priority too.